The world is full of famous structures - large ones like the Coliseum, the Vatican, the White House - structures everyone recognizes. 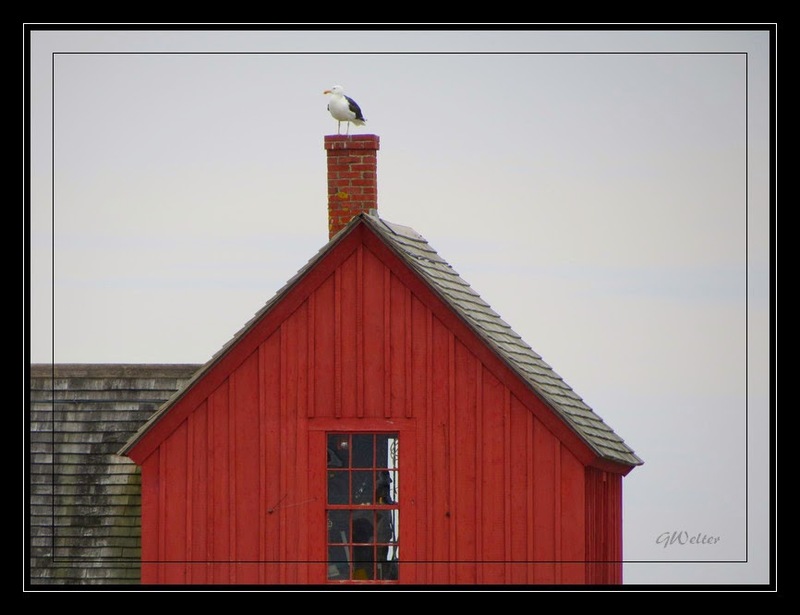 A smaller example of well known buildings is Motif #1. I'm sure you've seen it, if not in person, then in photographs or paintings. 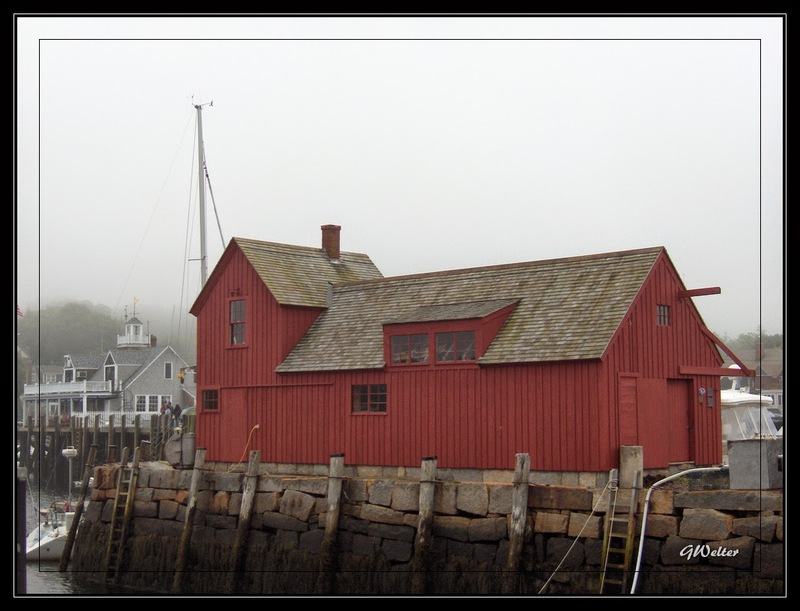 It's said that Motif #1 is said to be the most painted building in America! I'd go out on a fence here and guess that it's probably also one of the most photographed as well. 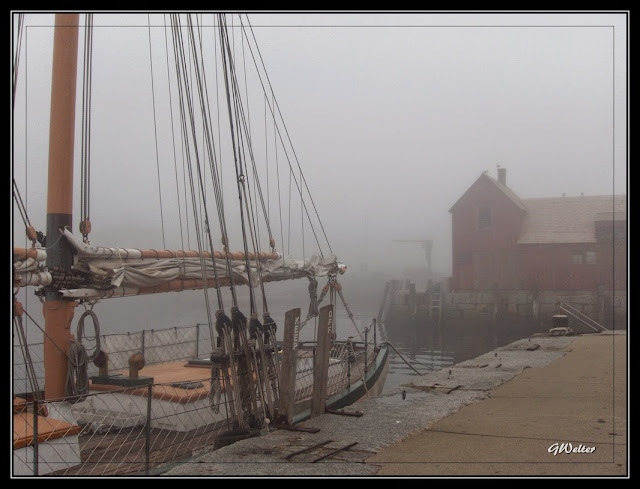 Like most places I research for my blogs, I found Motif to have some pretty interesting history......and you know I'm going to share it. again!" It has been that ever since." It's not just loved by tourists visiting Rockport. In the Disney movie, Finding Nemo, you might remember a scene in the dentist office. 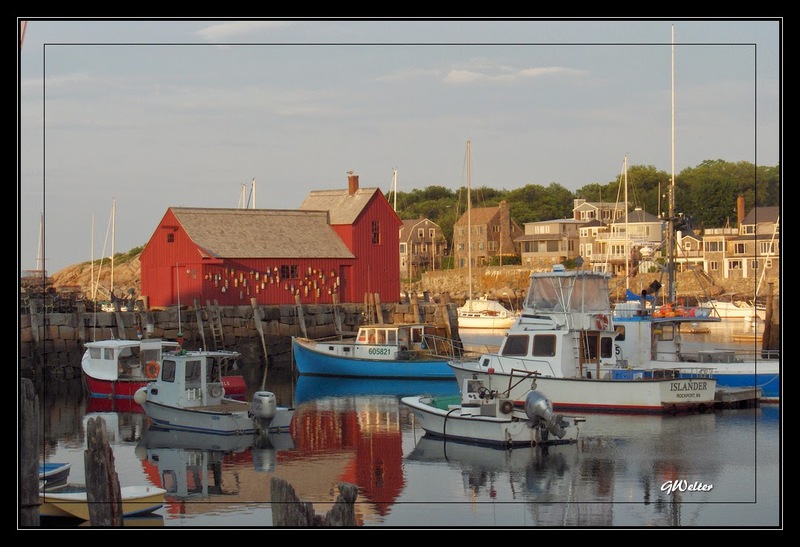 Well on the wall of the dentist office hangs a photo of Motif #1, a tribute by director Andrew Stanton whose hometown is Rockport, MA. 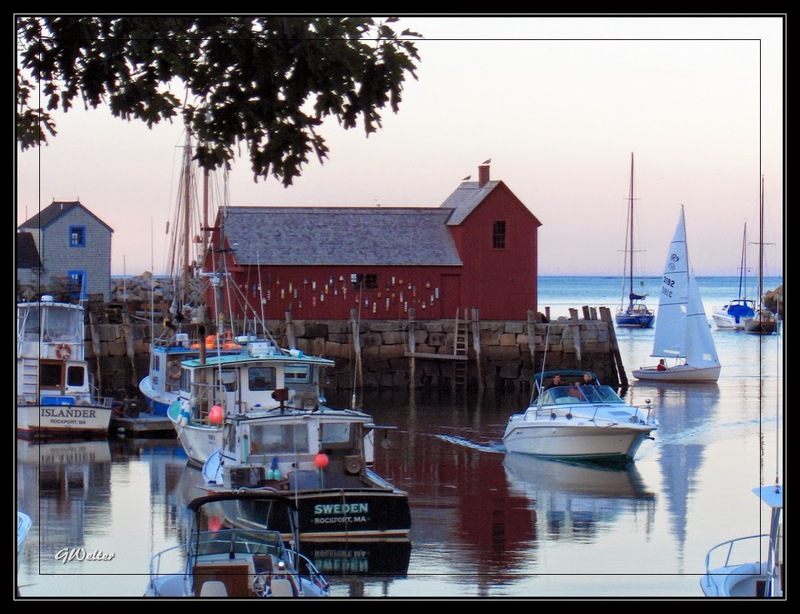 In another popular movie, The Proposal, used Rockport Harbor and Bearskin Neck to represent Sitka, Alaska. 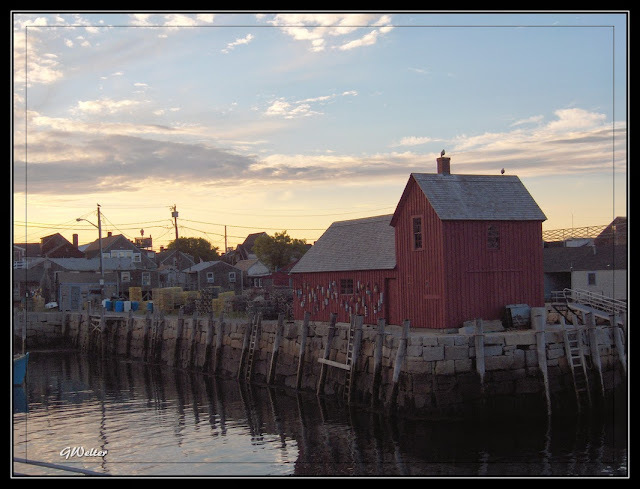 It's no wonder Rockport and its famous landmark, Motif #1 hold a special place in the hearts of so many. 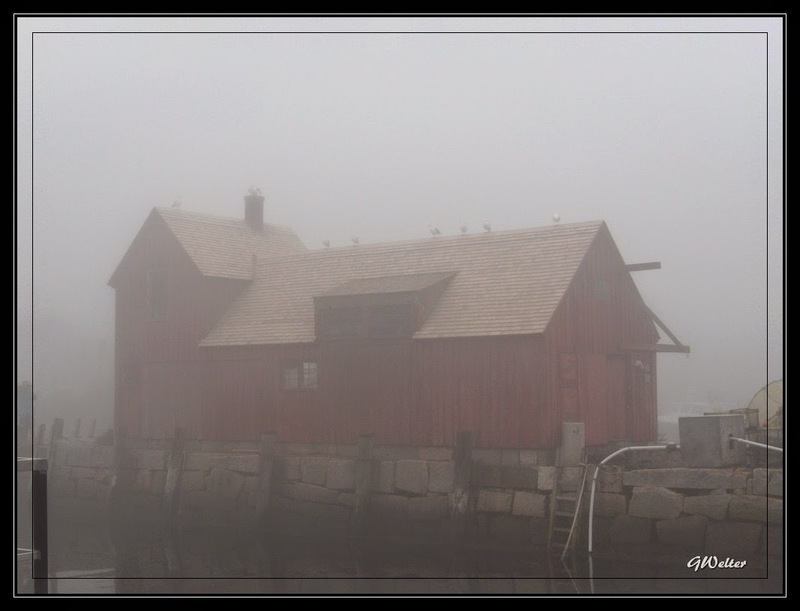 It is a picturesque and friendly New England town. If you're interested in reading more about Rockport and some of its famous attractions, you can read previous blog posts featuring Hammond Castle, Gloucester, Beauport (the Sleeper-McCann Estate) and the best bed and breakfast in town - the Beech Tree B & B. Links to each of these blogs will be included at the end of this post. 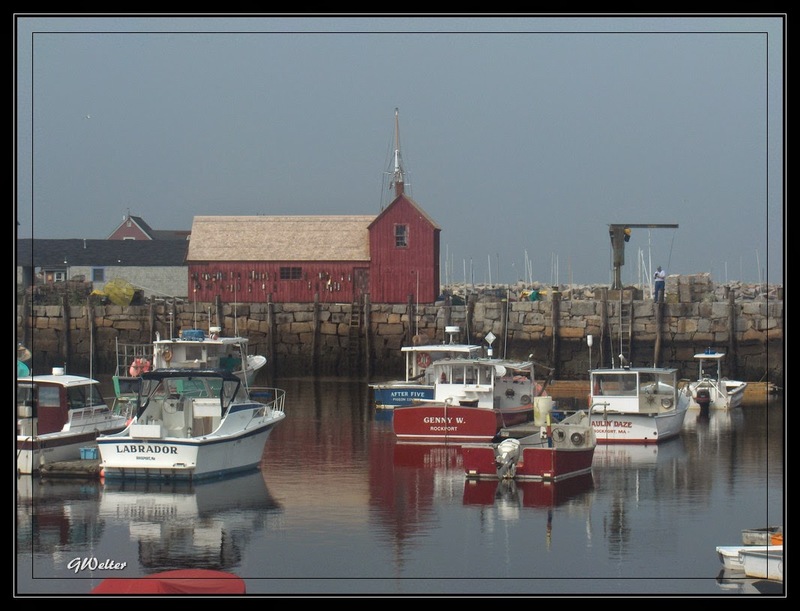 It's time to start planning your summer vacation, why not consider Rockport!